- Creative Grids grip to help ensure that the ruler doesn't slip. - Thin enough to work in any size throat space. - Curved edge for additional versatility. 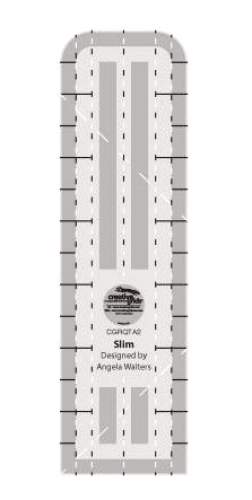 - The perfect length... just long enough to quilt lines in any direction without being too cumbersome.